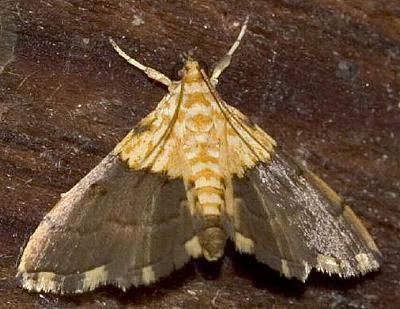 The adult moth has wings that are brown with a purple sheen, and have a cream and yellow pattern near the base. The wing margins are chequered and scalloped. 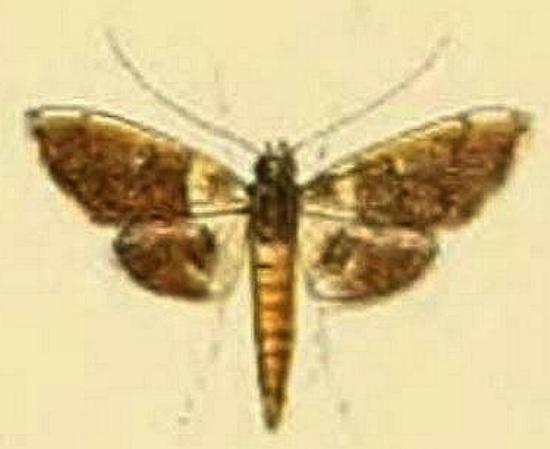 The abdomen has cream and yellow banding, and a brown tip. The wingspan is about 2 cms. LeapFrogOz, Kuranda, 2015, p. 32.